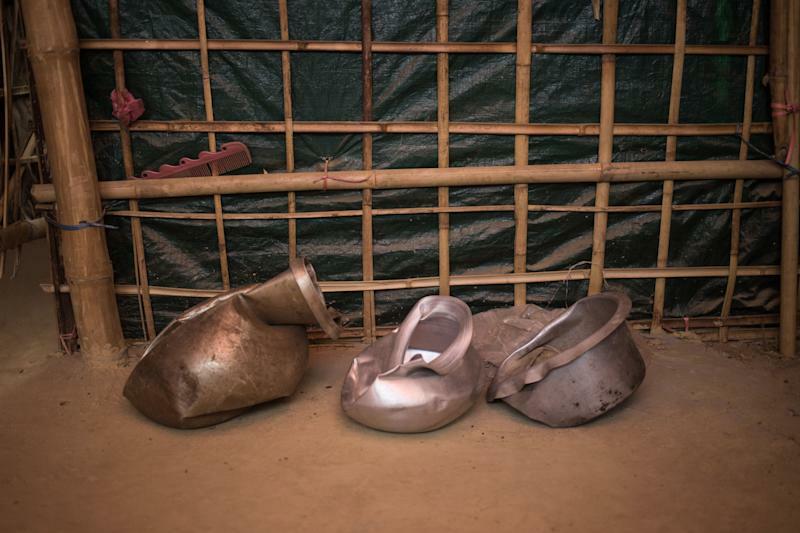 Anwar Beguma shows a water pot smashed by an elephant that trampled her family's house in Kutupalong refugee camp in Bangladesh. Her husband, Yakub Ali, died in the incident. KUTUPALONG, Bangladesh― Around midnight on Jan. 19, a heavy sound jolted Anwar Begum out of her sleep. 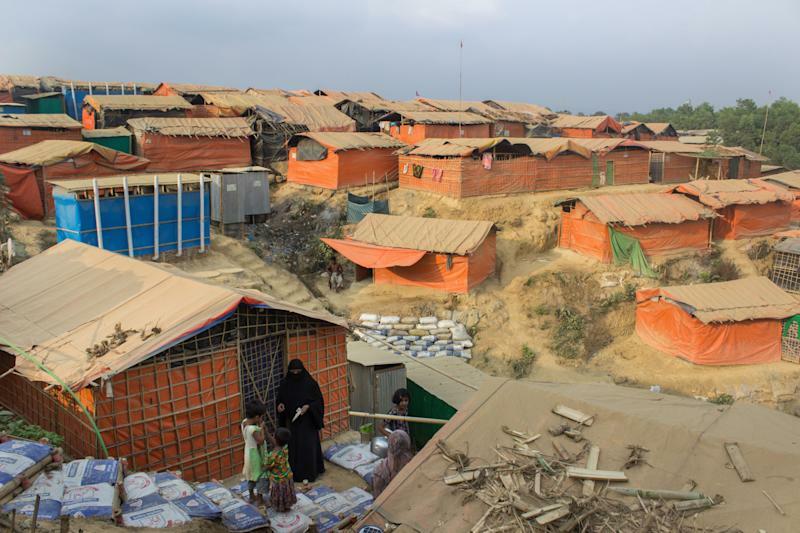 Something was breaking down the bamboo beams holding up her makeshift hut in a refugee camp for displaced Rohingya in southeastern Bangladesh. Her husband, Yakub Ali, thought it was someone trying to break in. 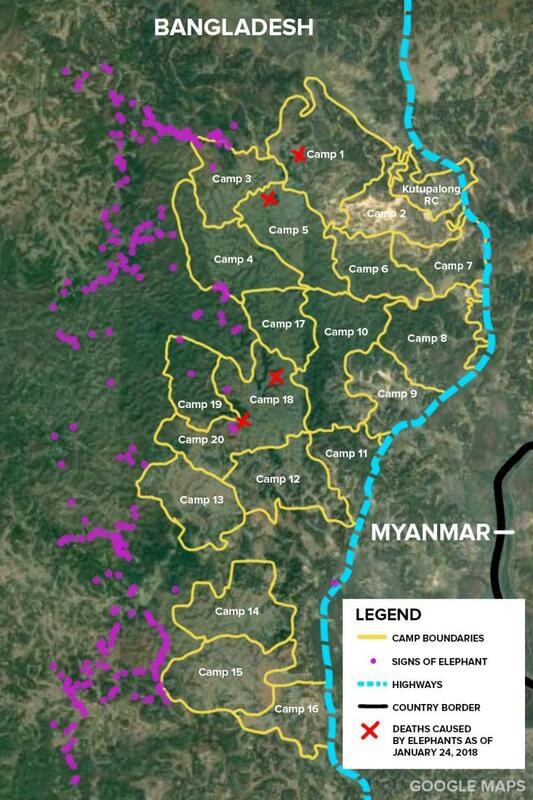 But living in Bangladesh brings new threats ― including encounters with elephants.Kutupalong, the largest and oldest camp in the Rohingya refugee district, sits squarely within one of the most traveled corridors of the endangered Asian elephant.Approximately 5.4 square milesof forest have been cleared to make room for new settlements, and the land-clearing continues as humanitarian and government agencies prepare to move some refugees elsewhere in preparation for monsoon season. Although theUnited Nations High Commissioner for Refugees, or UNHCR,is helping to rebuild homes and providing counseling for the victims, Begum’s trauma is still very fresh.